Veriton Z2620G and Z2610G all-in-one desktop computers are the latest in the market from Acer. A 2.5GHz Intel Core i5-2400s quad-core processor and an nVidia GeForce GT 520M GPU are the major configuration of Acer Veriton Z2620G. 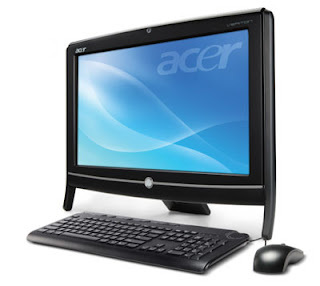 Besides, Acer Veriton Z2610G features a 2.6GHz Intel Pentium G620 dual-core processor with an integrated Intel HD GPU. The similarities between both the computers are a 20-inch (1600×900) widescreen LCD display, a 4GB DDR3 SDRAM (upgradable up to 8GB), a 500GB hard disk drive, an optical drive and the Microsoft Windows 7 Professional Operating System. The suggested price of the Acer Veriton Z2620G is $849.99 and $649.99 for Z2610G.